Having a small business is hard enough, but when articles from large publications deem your work to be essentially worthless, it’s hard not to take offence. Here I discuss the topic and why it’s not ok to consider anyone's business invaluable. It’s not often that I write ranty posts. In fact, I try not to rant on here but recently, there has been a flurry of bloggers who consider it ok to disrespect small businesses. So… I thought I would give you insight into how I feel about it. In recent weeks, some rather large publications have felt it necessary to create articles focused around what’s seen to be “unnecessary” at your wedding. One article in particular, from Brides Magazine, made my blood boil – ‘9 Things Your Wedding Guests Seriously Won't Care About’ (since writing this the post has now removed from the site). In the article, Lexxi Davis states 9 things she feels wedding guests won’t appreciate. I put the emphasis on the fact she doesn’t feel these to be worthwhile because all weddings are subjective to personal tastes and what is important to one couple may not be important to another couple and the same goes for guests. You can’t generalise what you think all guests “won’t care about” when it’s a totally personal choice. Nowhere in the article does she mention this fact. It’s quite clear that Davis has no love stationery as 3 of her 9 points are based around ditching it. To say that invites simply get “thrown into recycling” is not only insulting, but completely untrue. 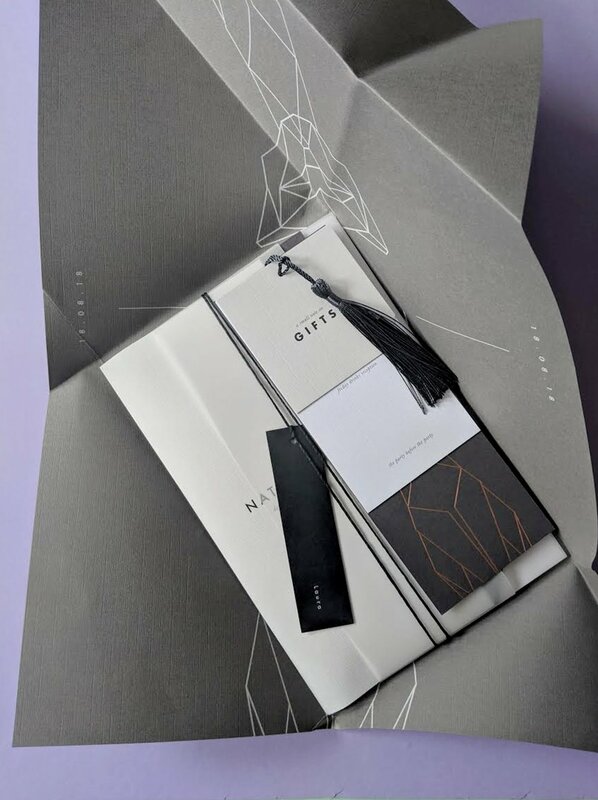 As a bride to be, we spent hours creating our invite pack, with layer upon layer of paper craft, tassels, wax stamps, the works, but all that time and effort was completely worth it to hear the reaction from of our guests who called it an “experience” opening the package. To suggest this would then be thrown into the bin is highly disrespectful not only to an industry of stationery suppliers, but also to couples who have spent time working with suppliers to make something worthwhile and meaningful. To propose that money would be better spent on tea towels and candles is laughable. 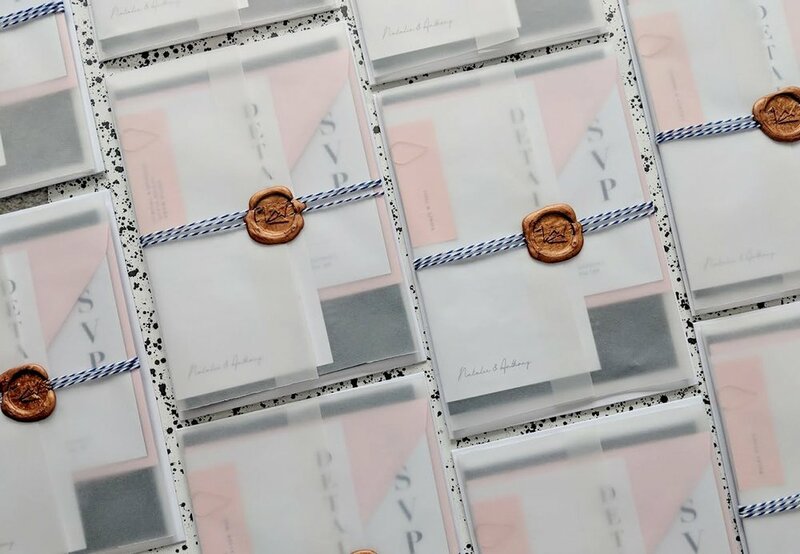 As a seasoned wedding guest attendee, the invites are what I save as a keepsake and this isn’t just because I run a stationery business, but because it’s a reminder of your loved ones special day – I don’t feel a tea towel would do this justice. Many of my clients really enjoy the process of making their invites. It’s an exciting lead up to the wedding and provides their guests with a first impression of their day, setting the tone of what's to come. In a digital generation, to actually receive pretty post can make someone's day. Other “suggestions” of things that are worthless to guests include flowers (another industry that get attacked frequently), the order or service, table plan (yes she clearly has it in for stationery designers), desserts and the first dance – apparently no one will remember this, but to which I argue is one of the most important parts and in my personal opinion so are flowers. Not only does this remove any personal aspect out of your day, all the special things that make it your own, but it’s disrespectful to guests who by the sounds of it are too small minded to care about the details and what matters to you and just want to be there to get drunk. For the record, can I also mention that this article has nothing to do with budgets, as of course, as I know too well, we all have budgets to keep to, but rather what you can get rid of and what to replace it with. It’s a shame that a global publication that should be supporting all their suppliers (who can I state I respected and had done business with in the past), finds it acceptable to post articles like this. These posts, that have thousands of readers, plant a seed in some readers minds and in turn affect the livelihoods of many businesses. Instead of promoting the small business and how to make your wedding your own, it has quite the opposite effect. To all my brides, grooms, customers, friends and loved ones. Your wedding is exactly that… YOUR wedding. There’s no rule book to what you should ditch and what your guests will like and won’t like. What you decide as a couple to spend your money on is your personal choice and no one should tell you otherwise. So I urge you not to take these opinions (as that’s what they are) to heart and carry on with the wedding you want to create. Because at the end of the day, it’s what will make it special to you that really matters.